Founded in 2009 by The Corps Network, Conservation Legacy and the Student Conservation Association, the Public Lands Service Coalition (PLSC) is an unincorporated coalition of more than 40 Conservation Corps and other organizations that promote youth and veteran engagement in stewardship of the Great Outdoors. The PLSC promotes and supports efforts to expand youth service on public and tribal lands and waters, with the goal that this service leads to careers in natural resource management and the development of the next generation of environmental stewards. There is a membership fee to join the PLSC. 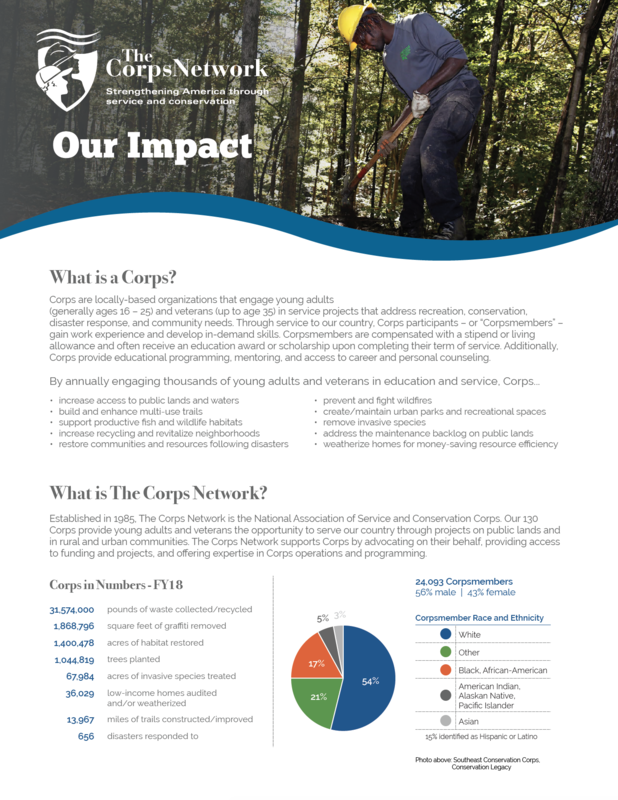 Membership is open to Full Member Service and Conservation Corps of The Corps Network. To learn more, visit our Join The Corps Network page. The PLSC is housed and fiscally operated at The Corps Network.